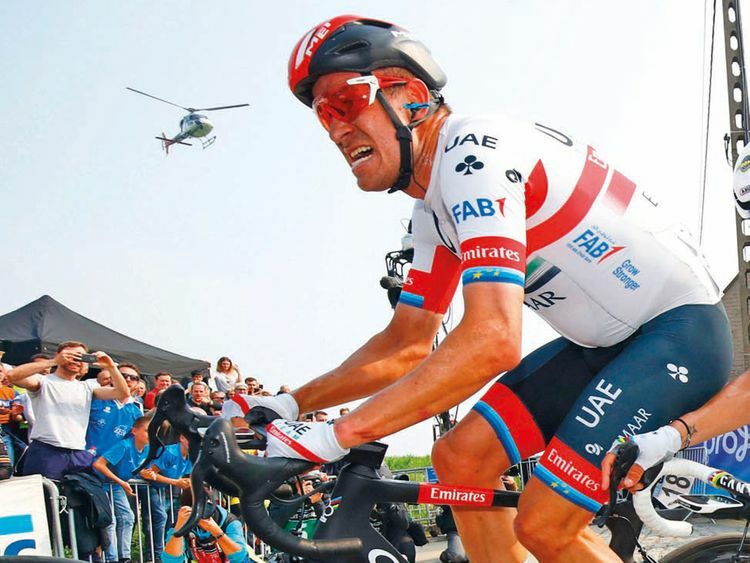 Abu Dhabi: Alexander Kristoff once again showed his strength in the Classics as he fought his way to a third-place finish at the Tour of Flanders. The Norwegian powerhouse, who won the Tour of Flanders in 2015, was able to make the front chasing group of 15 world-class riders as they attempted to bring back the solo breakaway man — Alberto Bettiol (EF Education First) — who made an attack in the third and final pass of the Oude Kwaremont with 18km to go and eventually won the race. In the final few kilometres Kasper Asgreen (Deceuninck-Quick Step) was able to attack off the front for second place, with Kristoff out-sprinting the bunch to take a well-deserved third place spot on the podium, 17 seconds behind Bettiol. Sven Erik Bystrom and Fernando Gaviria rode in the leading group until the final 20km, before the pace and parcours became too challenging for them to remain at the front of the race. Jasper Philipsen crashed mid-race and later retired.